I remember when short-sighted observers portrayed synthesisers as the end of musicianship. I dare say back in the 1840s musos were saying the same about the saxophone. 37,000 years ago, people were speared by their hunter gatherer peers for playing tunes on flutes made from animal bones. “Get back to thumping out rhythms on hides spread over hollowed out trees”, they cried. The same sort of people predicted that all possible songs will have been written by 1988. 30 years on and in a new millennium it is hard to believe that these predictions were ever made. When Bob Vangelis invented the Synthesiser back in 1962 as a method of harnessing electrons to produce sound, little did he know that Evángelos Odysséas Wakeman would borrow these ideas and use the PolyMog to produce a concept album for parrots and cats about Cornish fruit and veg, Tormatoes. A Scotsman, called McWrigley, would later use it for making all the sound effects for his film about bad robots putting prostitutes and soldiers out of work. We haven’t learned a thing. No wonder our planet is so messed up. But enough history. Nhoohr is a World where humans have not messed things up. Choosing synths as the foundation of an album with such a subject might seem somewhat ironic. Even so, by using the power of suggestion in the track titles, and carefully constructing the musical patterns, Breidablik (aka Morten Birkeland Nielsen) works hard to evoke an image of a natural World. The word “soundscape” is, perhaps, overused. We all probably think we know what this means. I thought that it was music designed to produce an ambience, sometimes just as background to a more traditional band dynamic, sometimes in its own right. Yet the Interwebs tell me that “a soundscape is a piece of music considered in terms of its component sounds”. Soundscape seems intertwined, then, with all music. Patterns of sound weaved into more sound as harmony, the expression and at once the invocation of emotion, that’s all a soundscape is, and what I’d argue any musician seeks to achieve. Although oscillators shape the bedrock of Nhoohr, the beauty of this music is that you can make it about anything that you want and ignore any irony. Besides modern instrumentation, warm and cold synthesised sounds are blended. Guitar adds a patina of human artifice so that there is reduced risk of this music sounding overly clinical. I say Nhoohr is best accessed taking the track titles as a starting point for your imagination then closing your eyes. Take in the patterns, punctuated by occasional and lovely guitar work, birdsong and waterfalls. Use them as the building blocks for those soundscapes, populate your imagination with unspoilt vistas and feel the many tiers of cold and warmth. This veritable upstart in the World of music – the synthesiser – can, and in this case, has been used to wondrous effect. With our feet firmly planted in this millennium Nhoohr adds to the plethora of examples that defy that prediction that synths would kill music. Breidablik’s “traditional” approach to synthetic sound, fits perfectly in the ever-growing body of art that is music. 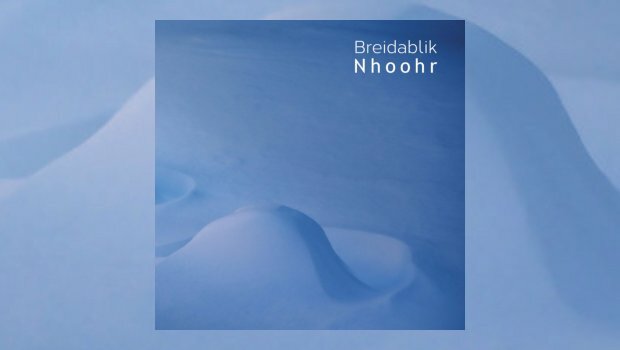 Nhoohr is, in places, as beautiful in its own way as any music played on more traditional instrumentation. I thoroughly enjoyed my visits to Planet Nhoohr. Recorded at Studio Wahnsinn-Idyll, 2017-2018. This record is a product of the Bergen School of Electronic Music.